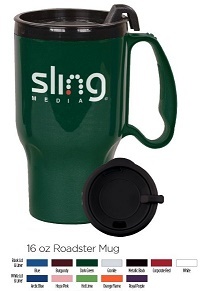 An Auto mug with your personalized advertising on it makes a great long lasting gift to customers and employees. Creates very positive impression for many years of use. Free quotes and friendly customer service. Give us a call (706-374-0710) put our years of promotional and advertising experience to work for you. As classic as the fabled Route 66, the 16 ounce Roadster is the promotional traveler mug that never goes out of style. It features a contoured design allowing it to fit in most cup holders. The Roadster also offers a double wall, BPA Free construction, with a durable handle and spill resistant slide and lock lid. This American Made mug is the ideal travel mug for a cross country trip or the morning commute. Convenience stores and coffee shops frequently use the Roadster to promote customer loyalty, providing discounts on refills. The price point allows the mug to be considered for giveaways, and it works well for corporate stores or school bookstores. The Roadster fits perfectly into most cup holders making this the mug for car dealerships or automotive repair shops to give to patrons. The Auto tumbler with your personalized advertising on it makes great gifts to customers and employees for the years to come. Creates very positive impression. Give us a call (706-374-0710) for a FREE quote and to put our years of promotional and advertising experience to work for you. 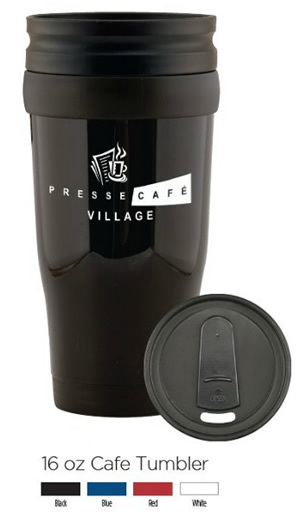 Give your brand a boost with the sleek and glossy Cafe Tumbler. This 16 oz travel mug's BPA Free plastic inner liner helps keep its contents hot or cold for extended periods of time. Has a 4-station thumb-slide lid allowing easy access to drink from making it ideal for coffee shops, book stores and gift shops. The high gloss plastic exterior is made complete when decorated with your one color imprint. Custom printed auto nameplates in simple straight design are available in a variety of font options. Auto nameplates come with either strip adhesive or holes. 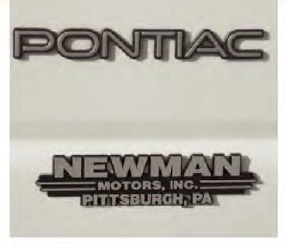 These stock design Auto Nameplates are made in the USA. Small credit card sized ice scrapers are available in white, yellow, blue, red or black. These long lasting items can provide years of advertising exposure. Break-resistant plastic that changes color in cold weather! Color changing, our Mood Ice Scrapers are 3-5/8" wide x 8-3/8" high. Imprint area for your promotional advertising is 3" wide x 1-3/8" high. Ice Scrapers change color from Blue to Purple, Frosted to Blue, Pink to Purple, Yellow to Green. We offer a large selection of key tags. These make great give-aways for churches, political campaigns, businesses and organizations to get your name and personal message out for better name recognition. They are long lasting and provide years of positive name recognition and exposure. Many styles and shapes available. Give us a call (706-374-0710) for a FREE quote and to put our years of promotional and advertising experience to work for you.